NASCAR fans love the month of May because it’s a busy one and a good one starting with the AAA 400 Drive for Autism at Dover International Speedway on Sunday, the 6th. Dover is a short track at a mile long and it’s an intense battle every year. This track is a fun one to bet simply because the action is tight and there are many lead changes throughout the course of a race. Everyone has a chance at Dover simply because of the tight nature of the track. Jeff Gordon is set to be honored this year for his prowess on the track. Gordon, a 4 time NASCAR Cup series champion, saw victory lane on five separate occasions at Dover. Jeff Gordon is thought of as the “new” pioneer of NASCAR and he truly is. 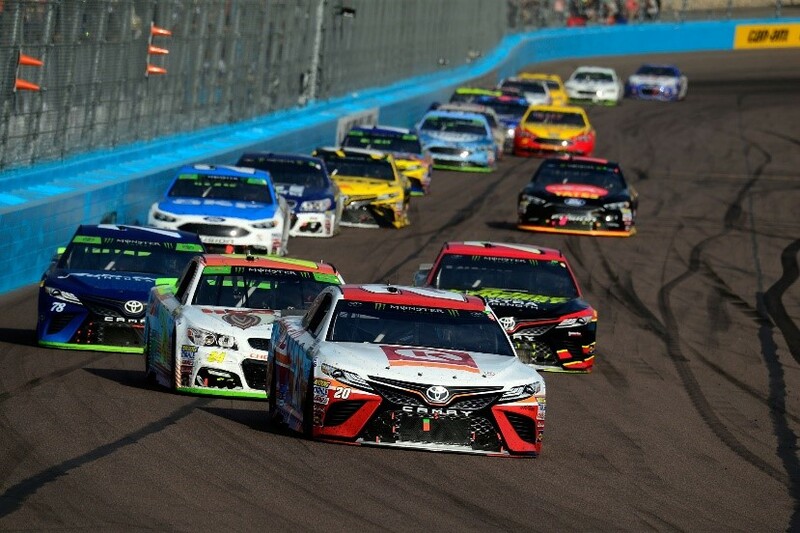 Although stock car racing has been popular for a very long time and it certainly gained popularity in the 70’s and 80’s with drivers such as Dale Earnhardt Sr. and Richard Petty, the sport never really took off as a national phenomenon until Jeff Gordon came along. In the 90’s and 2000’s Gordon gets the credit for putting NASCAR on the map. Dale Sr. was certainly a large part of the 90’s and he amassed a cult following of fans from North Florida to Las Vegas Motor Speedway, to Charlotte and all points in between. Dale was a racing “god” to so many fans nationwide. When Gordon came along he certainly didn’t take from Dale’s fan base, but he created a massive following of his own and ended his career with the same type of “cult like” following. Things have always been the same for Gordon as they were for Dale; folks either loved him or hated him. There really isn’t much of an in-between, with rabid NASCAR fans. Jeff Gordon will be just the fourth driver honored at Dover with a marquee plaque, he joins Bobby Allison, David Pearson and Richard Petty. Unbelievably, Gordon’s five wins at Dover ties him just for the fourth spot on the all-time wins list. Gordon and Pearson are tied with 5 wins while Petty and Allison are tied with 7 wins and the most unbelievable number is current racing star, Jimmy Johnson with a record 11 wins at Dover. Jimmy Johnson is the “short track king”. This guy has done it all but this year it’s all about Gordon and what he has done for the sport in general and at Dover. One day this track just may be renamed for the likeness of Jimmy Johnson. NASCAR moves on this month to Kansas Speedway on the 12th for the KC Masterpiece 400, then to Charlotte Motor Speedway on the 27th for what is always a spectacular race, the Coca-Cola 600. The entire week in Charlotte is a good one and kicks off on the 19th with the All-Star Race. If you like head to head NASCAR action and you are looking for some great ways to win some cash while watching you favorite sport, then the month of May just might be your meal ticket. Jimmy Johnson is always a favorite at Dover but Kyle Bush is having a fantastic year and an amazing car. Get in early as the odds tend to change drastically on race day. Find a great sports betting site that works with American players and win some money.